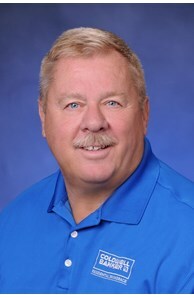 Tom Hammen served 36 years in the Air Force and retired as a Colonel and has been in Real Estate since 2005. He is a USAA Member and is one of the most dedicated and committed real estate agents in the nation and is backed by Coldwell Banker Residential Brokerage with over 3500 offices and over 100,000 sales associates to support him when buying or selling properties. When it comes to real estate transactions, it's nice to know you have that kind of reliability and experience. When you meet Tom, you will find him to be an enthusiastic, concerned, and honest professional with a genuine commitment to providing unsurpassed real estate service. If you are looking for Knowledge, Experience, Professionalism, Integrity, and Personal Service in a real estate agent, Tom Hammen has them all. When you find the need for professional real estate services, Call Tom and let him amaze you!